Magnesium + Aloe Muscle Tension Spray is here! Now the same potent and pure blend of Magnesium we use in treatments can be yours to use at home as part of your self care routine. Pick one up at your next session or grab one now in the SHOP. 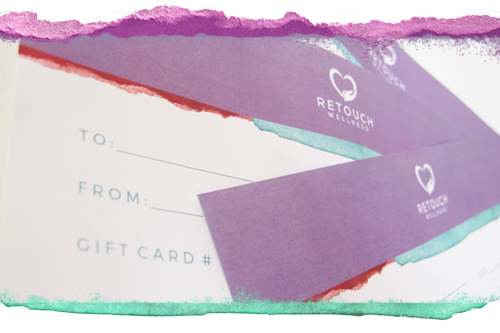 Interested in giving Retouch Wellness a try? 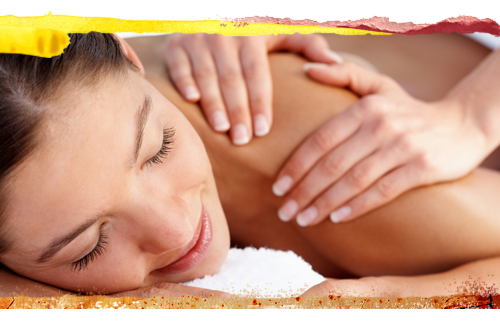 If you’re a first time visitor you can enjoy a 10% discount on any of our massages services. 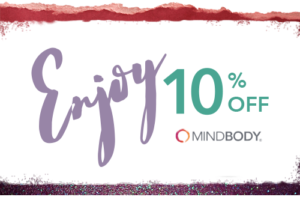 Here’s how: simply download the MindBody App on your phone, search Retouch Wellness, tap our special offer and schedule your massage. While you’re there be sure to check out all the other local Wellness Businesses! 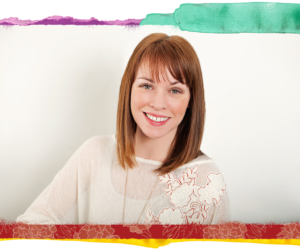 From prenatal, to immediate postnatal, to the various aches and stresses of everyday life, Ashley is unbelievably skilled in handeling it all. I started seeing Ashley in my 3rd trimester. I only wish I found her sooner. I had so many issues with my lower back and hips that only she was able to alleviate. I've been going to see Ashley for years now and everytime get the same relaxing yet energizing results. Restorative Massage focuses on regulating the nervous system to promote deep relaxation while also addressing minor muscle aches and pains. It’s perfect for anyone seeking a soothing and restful session. If a standard Swedish Massage has not met your goals in the past, Restorative Massage may be the answer. Restorative Massage helps regulate mood and reduce stress and anxiety. Minor muscle dysfunction is also addressed to promote soft tissue repair and rejuvenation. *Package discounts are available in our shop. Therapeutic Massage directly targets soft tissue dysfunction. This treatment is ideal if you are experiencing sudden or chronic pain and extreme muscle tension or stiffness. Incorporating a variety of techniques, you will experience a comprehensive treatment which addresses your specific problem areas and/or injuries. Massage should be effective, not painful. Therapeutic Massage will help reduce muscle tension and increase range of motion in a manner, and at a pace, which is comfortable for you. Therapeutic Massage works with your nervous system so you can also expect to experience the relaxing benefits of massage. Whether you are in your first trimester and just beginning to feel the effects of your pregnancy or are days away from your due date, Prenatal Massage will safely target whatever discomforts you may be experiencing. As your body and hormones rapidly shift, Prenatal Massage addresses many common issues such as fatigue, back and hip pain, sciatica and piriformis syndrome, calf cramping, carpal tunnel, muscle dysfunction due to postural shifts, and more. Our adjustable positioning system allows you to safely lie face down without putting pressure on belly or breasts. Many expecting mothers report feeling a sense of relief just from being able to lie in this position. Reclining and side-lying positioning are available depending on the needs of the individual. Prenatal Massage can also address previous issues you may have had before pregnancy that are being made worse such as neck pain, shoulder tension, and sports or other injuries. Often used as an alternative to medical labor induction, Induction Massage uses acupressure to accesses highly specific meridian points on the expecting mother which are connected to key body systems that play specific roles in jump starting uterine contractions. This massage can be performed as early as 38 weeks, through to your due date, and past up to 42 weeks. This treatment combines acupressure along with standard Restorative and Therapeutic Massage techniques so you will receive all the benefits of massage in your session. Induction results vary but most moms-to-be begin experiencing contractions with in 24-48 hours of the treatment. In some cases a few sessions are necessary. *Please note there are no 60 minute sessions available and no package discounts for this treatment. As you prepare to embark on the journey of labor and delivery, our hands-on instructional Labor Massage Class provides both the foundational knowledge and the practical tools for incorporating massage into your pain management plan. This session, geared toward any expecting mom and her labor partner, guides you through movements and techniques to use for easing pain and providing comfort during the progressive stages of labor. Whether managing early labor at home or powering through active labor, your labor partner will feel confident and prepared to effectively assist you. Both you and your labor partner will be better informed and equipped for the journey ahead. We will also discuss special circumstances, such as “back labor," and cover techniques to address these unique situations. You will receive a detailed packet of the techniques covered and a complimentary bottle of massage lotion to take home. Scheduling your class in the third trimester is recommended so the information and techniques covered are fresh in your minds for the big day. Postnatal Massage is perfect for any mom adjusting to the physical and emotional demands of caring for a newborn. This treatment can help facilitate proper pelvic realignment, reduce muscle tension, and calm the nervous system as your body slowly resets into its pre-pregnancy form. Specific issues related to the repetitive motion of carrying your baby, breastfeeding, and fatigue can also be addressed. Not to mention it's a wonderful way to carve out some much-needed “you” time. Our adjustable positioning system allows you to comfortably lie face down without putting pressure on tender breasts or C-section scars. Many mothers report feeling a sense of relief just from being able to lie in this position. If you had a C-section, we can work to break up scar tissue, promote tissue rejuvenation, and fascial mobilization. Postnatal Massage can also address previous issues you may have had before or during pregnancy that are being made worse such as neck pain, shoulder tension, back pain, and sports or other injuries. Is your newborn or infant wrestling with colic or digestive issues? Are you struggling to develop a sleep schedule? Are you looking for a way to deepen your connection with your little one? Maybe you want to help foster sensory development? These topics and more can all be addressed with massage and in our hands-on Infant Massage class you will learn how. We'll cover exactly what your families needs are and teach you easy and effective techniques to use at home. This class is a private class for mom and baby as well as dad and even caregivers. All are welcome and encouraged to attend. Reiki is a complementary health approach in which the practitioner places their hands lightly on, or just above, your body with the goal of facilitating your own healing response. It is a subtle form of energy work and clients often report experiencing deep, meditative relaxation. Reiki can be performed as part of a massage session or on its own. However, Reiki coupled with massage is a powerful combination from which you will receive the benefits of both treatments. Chakras can also be assessed and balanced during your Reiki session. We offer a variety of packages to facilitate your wellness goals. Select from discounted packages for 60, 75 or 90 minute sessions in increments of 3, 5, or 10 appointments. Give the gift of wellness! Gift certificates are available for each of our services or for a specified dollar amount. Click purchase for all your options and more details. 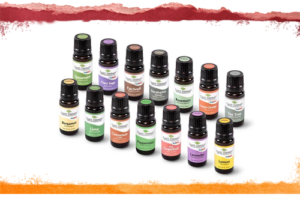 Our therapeutic grade essential oils are available for you to purchase and use as part of your self-care routine. We carefully selected Plant Therapy® brand oils to use in our treatments and are happy to offer you the chance to experience these high-quality oils at home. If you are buying for your little ones be sure to take advantage of the KidSafe options. Use this topical spray anywhere you are experiencing muscle tension or stiffness. Magnesium Chloride Brine (sourced from the ancient Zechstein Sea in the Netherlands) is a natural and pure muscle relaxer. Due to the potency of this mineral, skin irritation may occur. 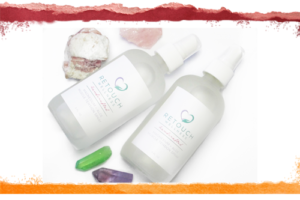 Retouch Magnesium is blended with a silky, soothing Aloe Extract to help reduce irritation. Shake well, spray directly on the body avoiding open wounds, gently massage the formula into skin, repeat as necessary. The same heat packs we use in our massage treatments are available for you. These herb packs are designed for hot or cold therapy and filled with a 100% natural twelve herb blend. Retouch Wellness 50 Harrison Street, Suite 316 Hoboken, New Jersey 07030 (between New York Ave. & Newark St.) We are on the 3rd floor within Hoboken Chiropractic + Wellness. Phone (212) 464-8902 Parking On-site parking lot with entrance on Harrison Street. Street parking is also available.